Just four minutes from Monzen-Nakacho Station, you'll find this chic restaurant in an inconspicuous back alley. 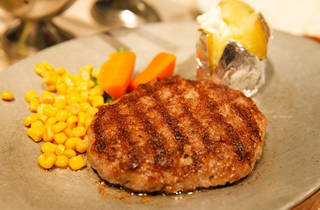 Their main business is steak but, come lunchtime, they offer 30 chargrilled burger meals (¥1,050) – giving new meaning to the term 'limited-edition'. 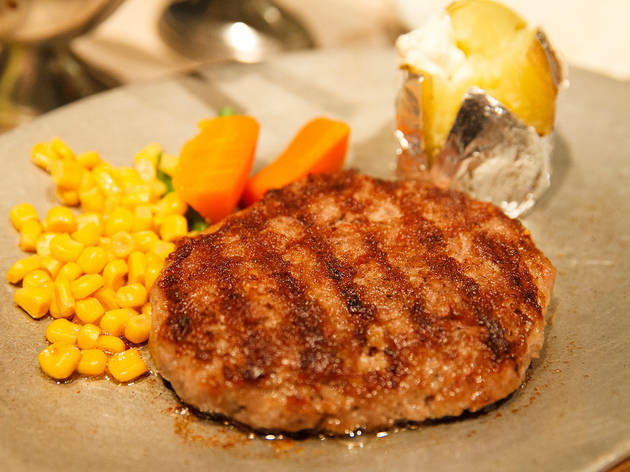 The patty is perfectly crispy on the outside and juicy and flavourful on the inside.